In contrast to the Western population, the prevalence of Barrett’s esophagus (BE) is rare in the Korean population. However, the recent increase in prevalence of gastroesophageal reflux disease (GERD) may affect the prevalence of BE. The aim of this study was to survey the prevalence of BE and evaluate its risk factors. The study comprised 2,048 patients (mean age 51.4 years, 965 males). The frequency of heartburn or acid regurgitation was 8.7% and 13.1%, respectively. Reflux esophagitis was diagnosed in 10.1% of patients (207 patients); however, most patients had mild reflux. CLE was found in 82 patients; however, only one patient had long-segment CLE. The prevalence of BE was 1% (21 patients). The risk factors for BE were age (P = 0.006), presence of heartburn [odds ratio (OR) 4.33, 95% confidence interval (CI) 1.66–11.34, P = 0.007], acid regurgitation (OR 3.37, 95% CI 1.35–8.42, P = 0.01), sliding hernia (OR 6.21, 95% CI 1.78–21.72, P = 0.001), and reflux esophagitis (OR 10.28, 95% CI 4.31–24.50, P < 0.0001) on univariate analysis. On multivariate analysis, presence of typical reflux symptoms (P = 0.02) and reflux esophagitis (P < 0.001) were significant. 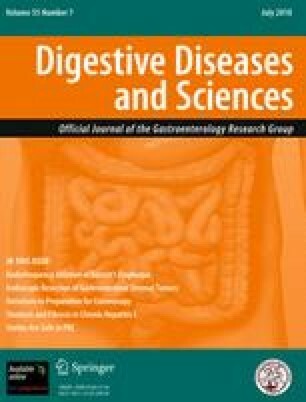 Prevalence of Barrett’s esophagus remains low in Koreans; however, risk of developing BE has increased in patients with GERD symptoms and reflux esophagitis. We thank Eunyoung Kim for data management. This work was funded by grants from The Korean Society of Neurogastroenterology and Motility Jeil Pharm. Co., SK Pharm. Co., and Astra Zeneca Pharm. Co.